A clear title is one that is free from liens (usually due to any unpaid debts). This is how it works; if you borrow money to buy a car, the lender has a vested interest in the car. In this case the title is not clear because the car owner still owes the lender and does not have full rights on the vehicle. Taking out a car title loan without a clear title is possible and you can retain your vehicle throughout the loan period. Can I get a car title loan without a clear title? You may be eligible to get a title loan even if you don’t have a clear title. A clear title means that you are the sole owner of the vehicle. Even if there are other lenders who may be on the title, that may not prevent you from being able to get a car title loan. LoanMart has tailor-made solutions based on your unique circumstances. LoanMart will check the equity of your automobile even if you have outstanding payments. Equity is the difference between what you still owe on your car and its value. Sometimes a car might have significant equity even if there are remaining payments to be made on it. Your title loan offer could incorporate the last few payments into your loan if the value of the vehicle qualifies. The good thing with a title loan is that it is based on the collateral of the vehicle and flexible payment terms are available. At LoanMart, we check the state of your car’s title as the first step. Additionally, our process may incorporate the remaining payments you have with a financier into your auto title loan if the value permits. A lot of qualifying factors are more flexible depending on the borrower’s specific situation. The title of the car should be cleared of any accidents or damages to secure a car title loan. Our customer support personnel are willing to give you all the details needed to apply for a car title loan. We will then send you the quote on a loan that you can consider with no obligations. Paperwork can be misplaced and we have all gone through that at some stage. Did you know that LoanMart can still help you get a loan even if you have misplaced your title or if there’s a lien on it from another lender? We want to get this out of the way as soon as possible so that we can continue the approval process and get your money. Which Cars Qualify for a Title Loan Without a Clear Title? There are a lot of cars that qualify for auto title loans. This is because there are a wide variety of vehicles with value that is constantly fluctuating. Hopefully this will help you to get an idea of the kind of cars that qualify and how that decision can be reached. A car title loan is secured by the owner’s proof of ownership of a vehicle. The car can be used as collateral against the loan. That is why the type of car that one owns makes all the difference. The amount of a loan that you qualify for depends on the value of the car and the terms of repayment1. Your car is the best option to get a car title loan that comes without restrictions on how to spend the money. 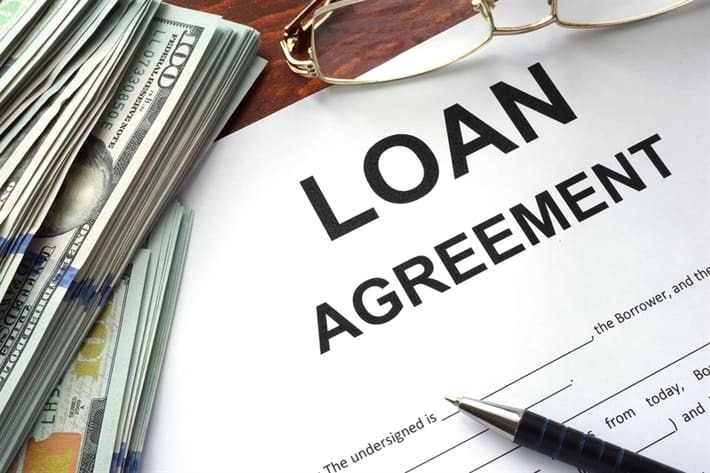 LoanMart has also made the processing of receiving your loan faster and more convenient when compared to traditional lending institutions such as banks. You can submit information about multiple cars if you have more than one. This will help to find out which one can fetch you the highest amount of money. LoanMart will give you a free quote of your automobile(s) to help you make a sound decision. The good thing is that there are no obligations to proceed with the loan after getting a quote. If you are looking for a place where you can get a loan with your car title, then LoanMart is your best option. We are devoted to providing solutions to help you prosper financially. At LoanMart, we accept all kind of vehicles that are in good condition. We know that the value of a car fluctuates every year. Our representatives are committed to helping you understand the types of cars that may qualify for a loan and to make the best decisions regarding repayment terms. You can bring your car to any of the participating locations to see how much you can qualify for with a car title loan. The type of car you have determines the amount of the car title loan you are eligible for. In addition, we look at the ability for a person to repay the loan to establish realistic repayment terms. If you have a car without a clear title and you are facing financial problems, LoanMart may have valuable options for you. We can process a car title loan with no restrictions on how to use the money. Processing a car title loan without a clear title at LoanMart is faster and more convenient than traditional banking services. Current photos of the car are ideal for our application. It is important to ensure that the car is clean and in its best form before submitting it for assessment. LoanMart recommends taking the photo outside in a broad daylight to ensure high quality. You can also look a site like CarFax to identify past mileage reports, damage or accident to get an idea of what factors may be used in the evaluation process. From Riverside, to Los Angeles, we can help you with your auto title loan process. At LoanMart you can qualify for car title loan with any model, make or year automobile1. The amount of car title loans varies depending on these factors. The state laws and regulations can affect your ability to qualify for a certain loan amount. The mileage and age of the engine can also affect the amount of the car title loan you may need. We know that cars are one of the assets that depreciate easily. The older the car, the less value it has. The value of older cars in the market are low because of mileage. At LoanMart, you may qualify for a higher loan if you have a vintage or classic car. You can reach 800LoanMart at 1-855-422-7412.